This Netflix documentary is a master class in xenophobia, Orientalism, and hysteria, and Bill Callahan's "Drover" becomes the sound of the hammer of judgment coming down. 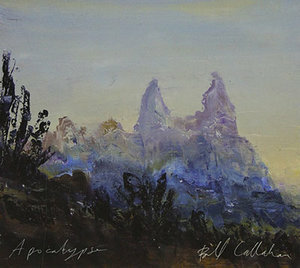 In Bill Callahan's 2011 song "Drover", the man in the song steps back and makes an observation about life on the American frontier. "One thing about this wild, wild country," Callahan sings, his voice stern, deadpan, "it takes a strong, strong—it breaks a strong, strong mind." You can hear that interruption of the line as the drover changing his mind, revising his thoughts mid-sentence, or you can hear it as an attempt to say that both things are true. In other words, the very thing required by the wild country is the same thing most at risk. Regardless, he adds, "Anything less makes me feel like I'm wasting my time." When those lyrics finally surface in the new Netflix documentary Wild Wild Country, United States customs officials are tracking an Indian guru named Bhagwan Shree Rajneesh who's attempting to flee the country in a Learjet. It's 28 October 1985. His commune in Wasco County, Oregon, called Rajneeshpuram, is in disarray. Rajneesh is wanted for immigration fraud. Thousands of miles away in Germany, his former assistant Ma Anand Sheela and a group of estranged followers of the Bhagwan are arrested for attempted murder, a plot to assassinate a US attorney, and the largest bioterror attack in the history of the United States. If all of that sounds archetypal to the point of being common, well, it is. What saves the lyrics and story of "Drover" are the song's structure and performance: the absence of drama in Callahan's voice, the ebb and flow of the arrangement, and the creation of empty space filled by far-off brushes on a snare drum, handclaps, a sidewinder fiddle, a thunderhead of distorted guitar. This exchange between barrenness and sound creates the tragedy and emotion that the man in the song refuses to give up. 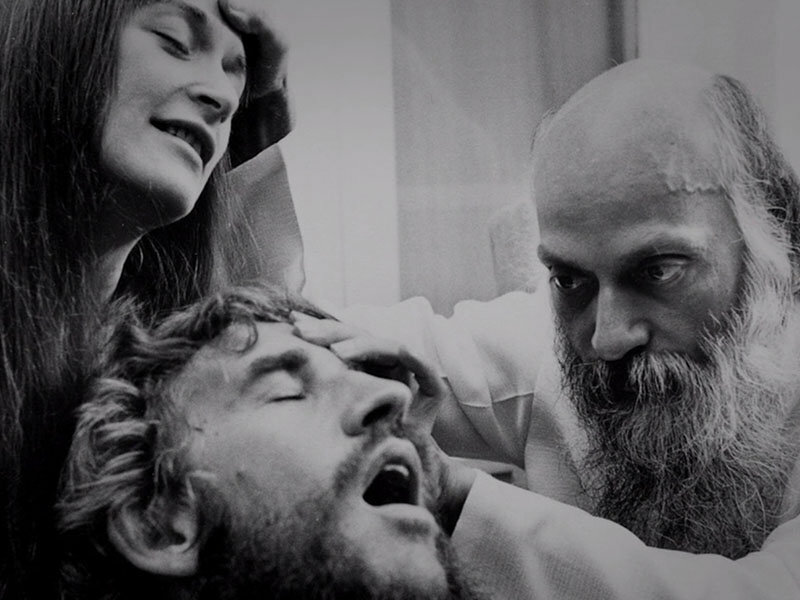 Placed at the beginning of the final episode of the six that make up Wild Wild Country, "Drover" becomes the sound of the hammer of judgment coming down. For five-plus hours we've watched the Rajneeshees test the limits of what they can get away with, and now escape seems impossible. It's a powerful moment, and the more I think about it, the wider and more powerful it becomes. From one perspective, by mixing "Drover" underneath images of radar towers, immigration officers with machine guns, and the recollections of law enforcement officials, directors (and brothers) Maclain and Chapman Way show how nature's formidable supremacy has been replaced today by the authority of the state. Law, not nature, will be the crucible faced by Rajneesh and his self-exiled followers. That's how the sequence feels, even if the lyrics don't line up. The judgment of the state is in the relentless strumming of the guitar and the immovable force that is Callahan's voice. Then again, take the lyrics at face value and the outcome is even more disturbing: Rajneesh, his loyal supporters, and his alienated followers in Germany are the cattle being rustled up by the feds who now sing the song. The state has conquered nature, risen above it. For I am, in the end, the state, and when my cattle turn on me, I am the state double-fold. On the other hand, at precisely the moment when Rajneesh is escorted off the Learjet, his shoulders covered by a tan overcoat, the Way brothers bring the song back in with a smack of percussion. As the guru peeks out of the plane, Callahan sings, "I rose like a drover." It fits all of the stereotypes about the relationship between a guru and his followers—the cowboy and his mindless cattle, or the shepherd and his flock—but damn if it doesn't resonate. In the previous episode, we've seen how, betrayed and abandoned by Sheela and her cohort, the Bhagwan chooses to speak to his followers, called sannyasins, for the first time in four years, finally asserting the control he gave up so he could (perhaps) drive Rolls Royces around the commune. Tested, he becomes a guru double-fold. A third perspective on this sequence gets to the heart of the whole documentary, though, and judging by the Ways' interview on AOL Build, they knew exactly what they were doing. Asked where the documentary's title comes from, Chapman Way names Callahan's song and recites the chorus. "It just felt so applicable to both Sheela and this guru who had these brilliant minds," he says, "to come here and to see what happened in America to them." …what happened in America to them. I'm guessing that phrase still sounds foreboding even if you haven't seen the miniseries. 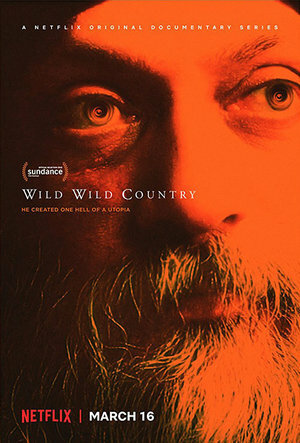 One of the many remarkable things about Wild Wild Country is how convincingly it argues, without ever saying a word about it, that frontiers still exist in the United States. They have little to do with untamed land anymore. The images of the rolling green ranch land purchased and brought back to life by the commune; the displaced and desolate nearby town of Antelope, with its diner and its church, literally taken over by the commune—these certainly intensify the sense of a frontier. But the land itself is a distraction. Look at the footage from the '80s. Look into the eyes of the people in that footage, particularly Ma Anand Sheela. At times her furious determination to make Rajneeshpuram work embarrasses me. Have I ever wanted something so much? This is the frontier you can find in America anywhere a person or a group of people pursue their desire for freedom at any cost, and find their mirror images staring back at them in resistance. The Rajneeshees and the residents of Antelope may not be mirror images, but each is driven by fear, mistrust, and a belief in a freedom so absolute it becomes merely an ideal. In interviews, the Way brothers have noted, correctly, I think, that the two communities are cut from the same libertarian cloth. One group dresses entirely in red, pink, and orange, and the other in rural denim and middle-class modesty, but their ideologies are built around insular self-sufficiency, not fraternity and cooperation beyond their bounds. The familiar refrain you hear from both sides in the film that "we just want to be left alone" is another way of saying that we want to do things our way, and to hell with our neighbors, and to hell with whatever laws might tell us otherwise. This hard-headedness makes nearly everyone in the film unlikable, which is why it's so hard to look away from them. The residents of Antelope interviewed for the documentary take advantage of their hindsight, but the shrill conservative outcries captured in '80s news station footage accumulate into a master class in xenophobia, Orientalism, and hysteria. Suspicious of outsiders, goaded by media coverage of the Jonestown Massacre in Guyana a few years prior, the prim conservatives in Antelope seem as much affected by their imaginations as they are by any hint of nefariousness on the part of the Rajneeshees. Then again, it doesn't take long for the commune's leaders to earn legitimate suspicion. Clearly they are driven by their own prejudices—Sheela quickly goes from exhorting America as a land of opportunity to a dumping ground for hillbillies—and before you know it, they've armed themselves. In a chilling and somehow ludicrous sequence, the Bhagwan finishes a speech. The camera follows him into a hallway and watches him disappear. Into the frame drift two magenta-clad sannyasin men who would look like Bee Gees -- if not for the rifles they're carrying. Two hours in, we've watched these two incompatible groups progress from naïve optimism and tepid acknowledgment of one another to a stiff frontier-thinking that sees a threat beyond every border. What strikes me, though, is how easily I sank into both sides' ways of thinking, into that frontier-think and its pure intentions—pure not as in "innocent", but pure as in "undiluted", "unwavering". I could almost convince myself that buying a box of Uzis to defend one's "free love and global peace" commune does not send a contradictory message. I think there must be something to this untainted certainty of belief. It's fun to imagine ourselves as dictators, as gurus, as the Ma Anand Sheelas of the world who can justify any means with an end, an ethical orientation (or lack thereof) which allowed her to oversee the tainting of salad bars in the nearby town of The Dalles, which resulted in over 700 residents contracting salmonella poisoning. The frontiers that still exist in America are built on imagination and ideology, but that doesn't make them any less real. They are borderlines constructed with emotion and rhetoric, but eventually they manifest into claims on territory, roads barred by gates, and walls. Their passion is magnetic. "Drover" in Wild Wild Country is the sound of that intensity of desire, a force of ambition so strong that its demise can only be absolute. And here, in the film, that's what "Drover" brings to life: the inevitable destruction of the frontier dream. It reminds me of that American classic, Letters from an American Farmer, by J. Hector St. John de Crèvecoeur, who wrote famously, "What, then, is the American, this new man?" We don't often speak about the end of the book, though, when the semi-fictional protagonist James is packing up and fleeing the frontier, a panicked darkness having descended upon him. "I feel as if my reason wanted to leave me," he writes, "as if it would burst its poor weak tenement; again, I try to compose myself, I grow cool, and preconceiving the dreadful loss, I endeavour to retain the useful guest." Though the town of Antelope regained its name, it became a ghost town. And the title of the album "Drover" first appeared on in 2011? Apocalypse.